The Next Chapter columnist reviews the Toronto-based professor's 12 Rules For Life. Canadian psychology professor Jordan B. Peterson is a public speaker and author. He has become a polarizing figure for his views on topics such as feminism, white privilege and non-binary pronouns. 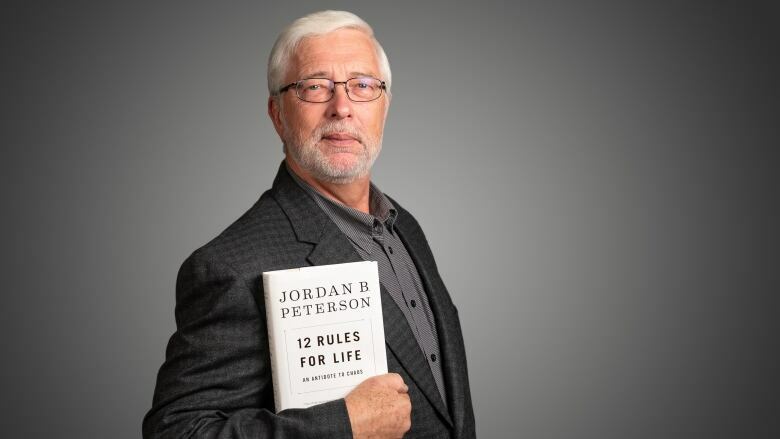 His book, 12 Rules for Life gives Peterson's perspective on discipline, freedom, adventure and responsibility. The Next Chapter columnist Antanas Sileika has read 12 Rules for Life and shares his thoughts with Shelagh Rogers. "I became interested in the book in the first place because so many people on social media disliked the author. I became interested in why is he so hated by some. There's sort of a knee-jerk reaction that he evokes. But he also is, weirdly, insensitive to how he comes across at times." "I'm acutely aware that people will be angry with me by reviewing this book. But I think there's some way that one can approach these arguments reasonably and calmly and try to work through what's correct and what isn't. What's useful is analysis." Antanas Sileika's comments have been condensed and edited for clarity.